In anticipation of the 2016 election, the third Philippine action plan sought to institutionalize existing OGP participatory mechanisms and largely continued expanding the scope of activities from previous action plans. While general awareness of OGP remains low, the passage on an Executive Order on Freedom of Information and inclusion of new commitments on improving public service delivery indicates sustained energy on areas with immediate impact on citizens’ lives. The Open Government Partnership (OGP) is a voluntary international initiative that aims to secure commitments from governments to their citizenry, to promote transparency, empower citizens, ght corruption, and harness new technologies to strengthen governance. The Independent Reporting Mechanism (IRM) carries out a biannual review of the activities of each country that participates in OGP. 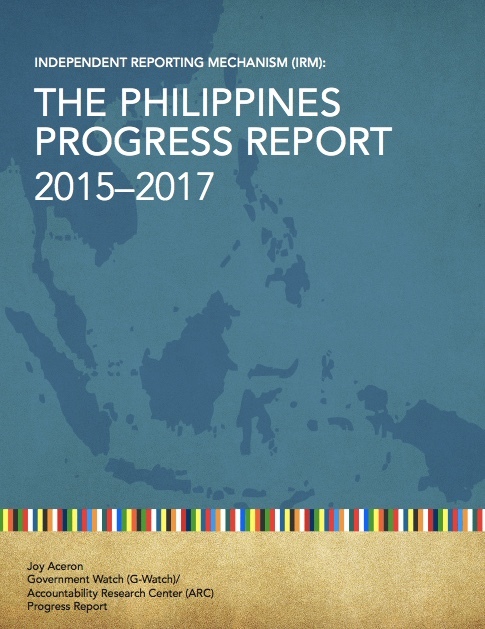 The Philippines is one of the eight founding countries in the OGP initiative and began formal participation in September 2011, when President Benigno S. Aquino III, along with other high-level ministers and heads of state launched the OGP initiative in New York. The Steering Committee, made up of representatives from government, civil society, and the business community, leads the OGP process in the Philippines. The Steering Committee serves as the consultation and coordination forum on the status and implementation of action plan commitments. The Good Governance and Anti-Corruption Cluster (GGACC) of the President’s Cabinet is the coordination unit responsible for OGP activities in the Philippines, though in practice the OGP secretariat housed in the Department of Budget and Management, coordinated commitment implementation and served as the communication center for the Steering Committee. Note: Timeline covered by the assessment of action plan implementation are activities and updates from September 2015 – June 2016 only.